It’s a modern case involving state-of-the-art ocean liners. But attorneys were sparring early Tuesday morning over 200-year-old legal doctrines and 19th century case law. The Cruise Lines International Association Alaska lawsuit alleges the city’s $8 in fees levied on passengers violate the U.S. Constitution’s “tonnage clause,” which prohibits states from taxing vessels in port. 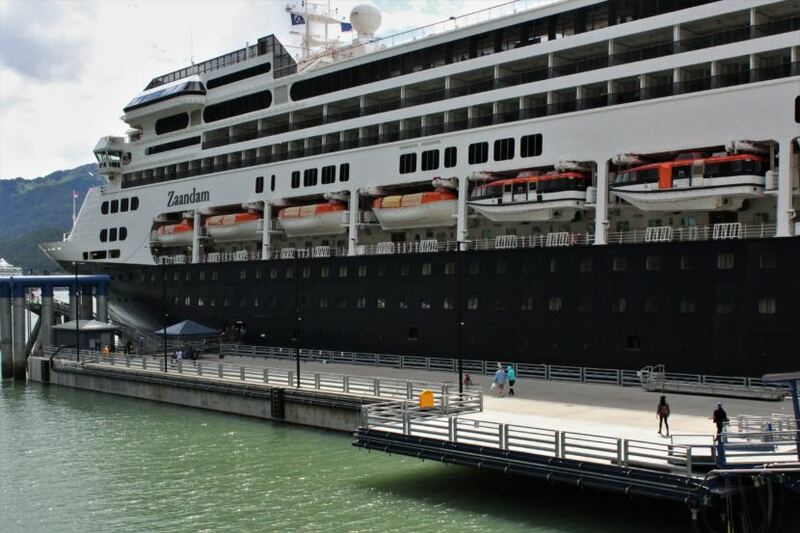 The cruise industry plaintiffs told the judge the framers considered safeguarding inter-state commerce as important as preventing a state from minting its own currency or declaring war. Those powers are for the feds and the feds alone. The city attorneys countered that James Madison couldn’t have conceived of vessels bringing more than 10,000 daily visitors into a community of 30,000. Judge H. Russell Holland asked pointed questions. At times he seemed skeptical of the cruise industry’s argument that services paid with marine passenger fees had to be directly tied to ship operations. Holland pointed to public bathrooms as an example. “Outhouses far from the docks but heavily used by cruise passengers, still need to be cleaned,” Holland said. The plaintiffs said the city’s fees aren’t legal because they’re not like traditional user fees for goods and services. The city’s defense is that every item spent can be reasonably tied back to benefiting cruise ship passengers. From longer cruise docks for the bigger ships to seasonal crossing guards that control downtown traffic. Cruise industry lawyers also told the judge they aren’t seeking repayment. They want the city’s power to levy fees to be narrowed to only pay for dockside services for vessels. The city counters it wouldn’t make sense to refund fees to the industry anyway since they never paid a penny. It’s the cruise passengers that fork over the $8 as part of their booking. The judge has several motions – and counter-motions – to rule on before the case moves to trial. In the meantime, both sides are asking for a quick resolution through summary judgment. There’s also interest in this case outside Juneau. That’s because of the wider precedent it could set. It’s been a costly fight. The city has spent $776,000 on legal defense since the lawsuit was filed in 2016. At stake is about $10 million in annual revenue to the city. The outcome could also affect the state of Alaska’s own passenger fee. Last year, the state collected $18.5 million. It shared all but $2.5 million with port communities. The judge remarked from the bench the case is “not a simple matter” and indicated it would be some time before he would rule. Next articleCalls of bear sightings are up around Juneau. But why?